Any LCD Gurus out there? 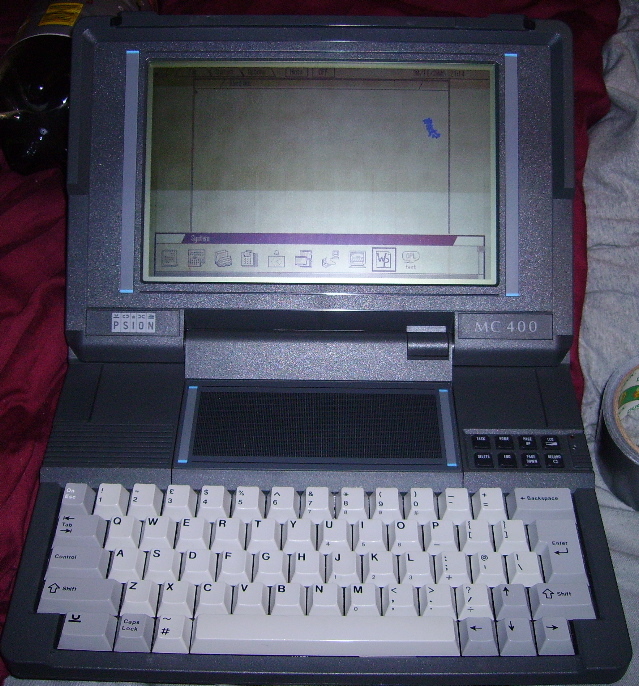 This is a Psion MC400, a relatively rare laptop from 1989. It was very advanced for the time, with a GUI, a trackpad, a multitasking OS and entirely solid-state storage. It even ran for about 75 hours from 8 AA batteries. But they were expensive and never sold well. I've always wanted one, and finally got hold of one a few months ago. 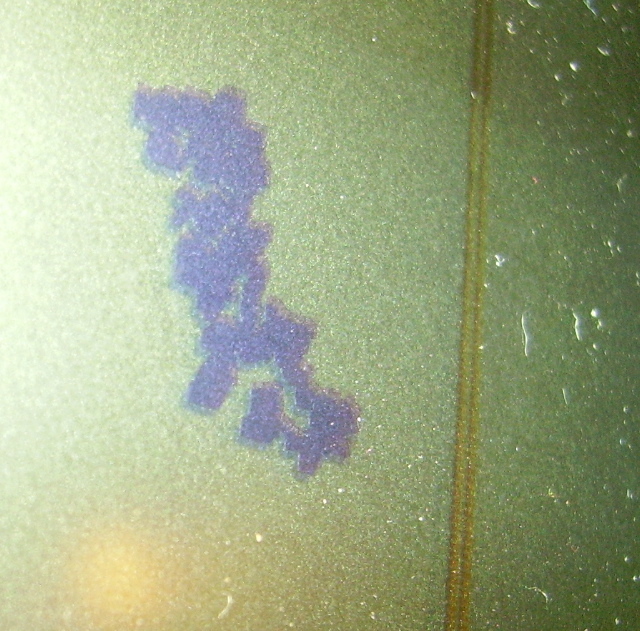 Thing is, a blotch appeared in the LCD and it's getting bigger. I have no idea what it is, but could it be leaking or something? I've been very careful with it and it's not had any knocks as far as I know. Apparently the LCD is a retardation film type. Anyone got any ideas what it is? I've attached an image of the machine and a close up of the blotch, which didn't come out all that well, but gets the idea across. I'm no LCD Guru, but I do play one on TV . . . I haven't the foggiest idea what's causing that blotch, but to fix it I'm betting you'll need to replace the LCD. That means you need to discover the LCD's make/model and search for the same part, or find yourself another of these machines from which to swipe the LCD. The fact that the blotch is getting bigger indicates that it is indeed an internal leak. (Ever press too hard on the screen of a calculator? Same thing.) There's no way to fix it, other than replace the LCD as dankephoto suggests. Normally leaks are caused by physical abuse -- when did the blotch first appear? The blotch appeared about a month after I got the machine. I've been very careful with the machine but maybe it did get a knock. Oh well. I never thought that it would be repairable but I was just wondering what could be causing it. Thinking back, I had an old PalmPIlot that had a similar problem and that really had been abused. Finding an LCD for it is going to be very hard as the MC line is pretty rare. I suppose I'll just have to get another and treat this as a spares machine. Shame though as it's in pretty good condition and has the original box and everything. Ah well.